Smartphone users are unusually responsive to advertising, according to survey results Google has released. And this could be because searches on smartphones are weighted toward finding local information. Forty-two percent of users click on mobile ads they like, found the Mobile Movement: Understanding Smartphone Users survey. Of those, 49 percent go on to make a purchase, while 35 percent visit the advertiser's site, and 27 percent call the business in question. Third-party market researcher Ipsos OTX questioned 5013 adult smartphone Internet users at the end of 2010. 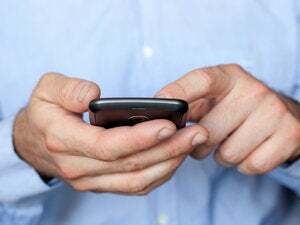 The results also claim that 82 percent of smartphone users "notice mobile ads," but that's a rather muddy phrase; being aware of ads on a page is not a guarantee of reading them, for example. The survey emphasizes the practical nature of searching on a smartphone compared with on a desktop. Nine out of 10 users have taken action based on the results of a smartphone search. Smartphone Web searches are weighted towards the user's locality: 95 percent of people look for local information on a smartphone. Perhaps the recent explosion in geolocation apps isn't just a passing trend. We're also using our phones while we're shopping in the real world. Forty-nine percent of us compare prices while browsing, 44 percent read reviews of stuff we see, and 34 percent are even using their phones to check the store's inventory while we're visiting it. Added to the fact we use our smartphones while using other media (33 percent use phones while watching TV, and 22 percent while reading a newspaper), Google says the survey results indicate a new breed of savvy purchaser that it calls "the new smartphone consumer. Such people are part of a "mobile movement," and new marketing techniques are required to reach them, says Google. For example, of those using their smartphones while out shopping, just under half are searching for promotions or coupons. This chimes with one of Google's visions for near field communications (NFC), in which it says the technology will be driven by promotions and offers. It's not all rainbows and bubblegum: The survey points out that 79 percent of top advertisers don't have a mobile-optimized site, something that can drive mobile searchers away. Most Websites work OK on modern smartphones, but some work better than others, particularly those that are amenable to scaling and don't include the likes of unnecessary page furniture like Flash animations. Not unnaturally, Google claims that mobile advertising is going to become a booming area as more of us get the technology. However, here at least, there are issues in Google's logic. Google conveniently forgets that right now, smartphone owners are inherently wealthy. Unless they found their smartphone on the sidewalk, they've handed over hundreds of dollars for a handset and continue to pay through the nose for monthly contracts. It might be the case that smartphone technology becomes mainstream as handsets fall in price, but there's no guarantee the new raft of "budget" users will bring with them the same kind of advertising response. Additionally, a 2010 smartphone survey from Google showed that smartphone usage isn't egalitarian; men make up 58 percent of handset buyers, for example, and 40 percent of those are young, between 25 and 34 years old. Without throwing around ageist stereotypes, it's fair to say that younger people go out more than older people, and are therefore more likely to perform the local searches Google claims can drive advertising. Indeed, as far as mobile advertising is concerned, we might be experiencing a golden era right now. The marketplace may well be diluted as capable devices fall in price. There's little doubt that mobile search is an important new market and it's certainly true that mobile versions of sites are necessary. However, a little more time might be needed to see how the field plays out before any major investments are made.